Update: RaveBuild now tracks document’s expiry dates to keep you ahead of the game! Amongst recent updates made by the RAVE development team is a simple yet significant addition to the Contractors Tab. This addition is the inclusion of Contractor’s documents expiry date, which can now be found beside the LBP number in the Contractor’s details. The update means branch users can now track the expiry date of documents uploaded by contractors. RAVE already gives users a comprehensive view of all things within their project, which is only strengthened by this update. 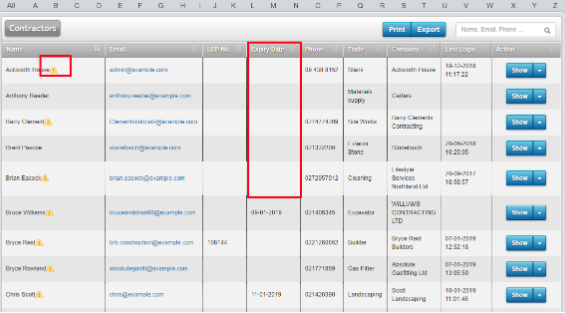 Plus, RAVE now alerts you of the expiry of contractor files by adding an alert flag next to the contractor’s name i.e. expiry of their LBP, their health and safety policy, their insurance policy and any other documentation you require that has an expiry date. 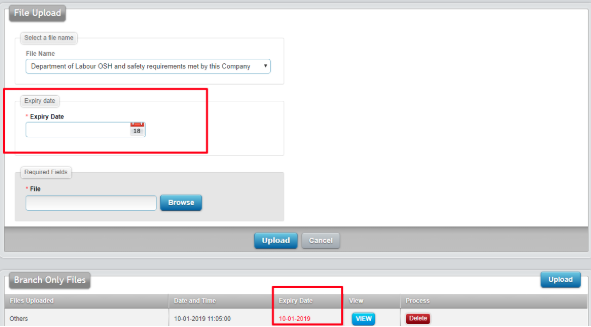 The expiry date is displayed in red, making sure all users are aware of these important details, allowing all to action any changes or adjustments that need to be made. To ensure that contractors and suppliers are aware of the document expiry update, an “Expiry date” field has been added to the contractor’s login, for them to complete when files are uploaded.